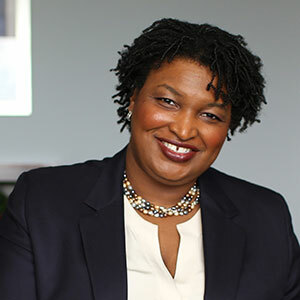 American University President Sylvia M. Burwell announced today that former Minority Leader of the Georgia House of Representatives and founder of Fair Fight Action, Stacey Abrams, will deliver the university’s first address for the 137th Commencement ceremonies at 9 a.m. on Saturday, May 11. Abrams will address the graduating class in the School of Public Affairs and receive an honorary Doctor of Laws degree. In 2010, Abrams became the first woman to lead either party in the Georgia General Assembly and the first African-American to lead in the state’s House of Representatives. She made history again in 2018, becoming the first African-American woman gubernatorial nominee for a major party in the history of the United States. In 2019, she became the first African-American woman to deliver the response to a State of the Union Address on behalf of a political party. She is the author of Lead from the Outside. As the founder of Fair Fight Action, Abrams continues to advocate for free and fair elections, as well as increasing voter participation. 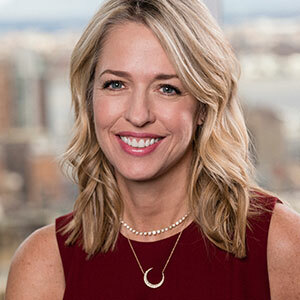 Pam Kaufman is the President of Viacom Nickelodeon Consumer Products where she leads worldwide licensing and merchandising for Viacom Media Networks and Paramount Pictures. This multibillion-dollar consumer products business consists of Viacom’s portfolio of brands and iconic franchise properties including Nickelodeon’s “PAW Patrol” and “Teenage Mutant Ninja Turtles”; MTV’s “Jersey Shore: Family Vacation”; Comedy Central’s “South Park”; and Paramount Pictures’ “The Godfather,” “Top Gun” and “Grease” among others. Kaufman will receive an honorary Doctor of Humane Letters at the School of Communication commencement at 1:30 p.m., Saturday, May 11. Chimamanda Ngozi Adichie is a Nigerian writer and author of six books. In 2012, she started a worldwide conversation about feminism with a TED Talk titled "We Should All Be Feminists." 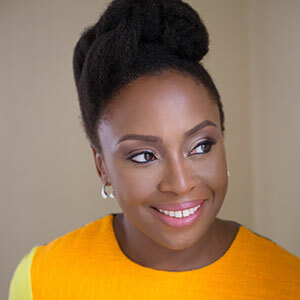 Adichie, a 2008 MacArthur Fellow, was named one of TIME Magazine’s 100 Most Influential People in the world in 2015. In 2017, Fortune Magazine named her one of the World’s 50 Great Leaders. She will receive an honorary Doctor of Humane Letters degree at the College of Arts and Sciences commencement at 6 p.m., Saturday, May 11. 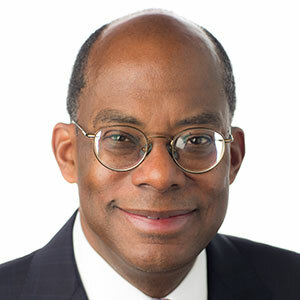 Roger W. Ferguson Jr. is the president and CEO of TIAA. He is the former vice chairman of the Board of Governors of the U.S. Federal Reserve System. As the only governor in Washington, D.C., on 9/11, he led the Fed’s initial response to the terrorist attacks, taking actions that kept the U.S. financial system functioning while reassuring the global financial community that the nation’s economy would not be paralyzed. He is also a member of the Smithsonian Board of Regents. Ferguson will receive an honorary Doctor of Laws degree at the Kogod School of Business commencement at 10 a.m., Sunday, May 12. 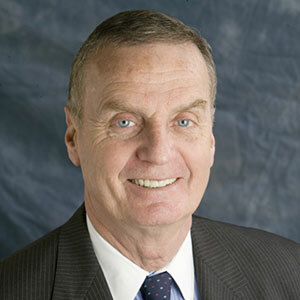 General James L. Jones USMC (ret.) is a former National Security Advisor to President Barack Obama. As the former commander of U.S. European Command and as Supreme Allied Commander in Europe, he led all military operations for the North Atlantic Treaty Organization, and later as national security adviser, he brought clear vision and steady leadership to America’s mission in Iraq, the war in Afghanistan, and the country’s interests around the world. He will receive an honorary Doctor of International Affairs degree at the School of International Service commencement at 2:30 p.m., Sunday, May 12. The Honorable Roger L. Gregory is the Chief Judge of the United States Court of Appeals for the Fourth Circuit. His federal judicial service began with a recess appointment from President Bill Clinton in 2000. He was nominated by President George W. Bush in 2001. He is the recipient of many awards, including the 1997 National Conference of Christians and Jews Humanitarian Award, the National Bar Association’s Equal Justice Award, and the Thurgood Marshall Award of Excellence. Judge Gregory will receive an honorary Doctor of Laws degree at the Washington College of Law commencement at 1 p.m., Sunday, May 19.